The mimosa is a favorite cocktail for brunches, weddings and other celebrations. Because of its popularity, many variations on this drink have been formed. 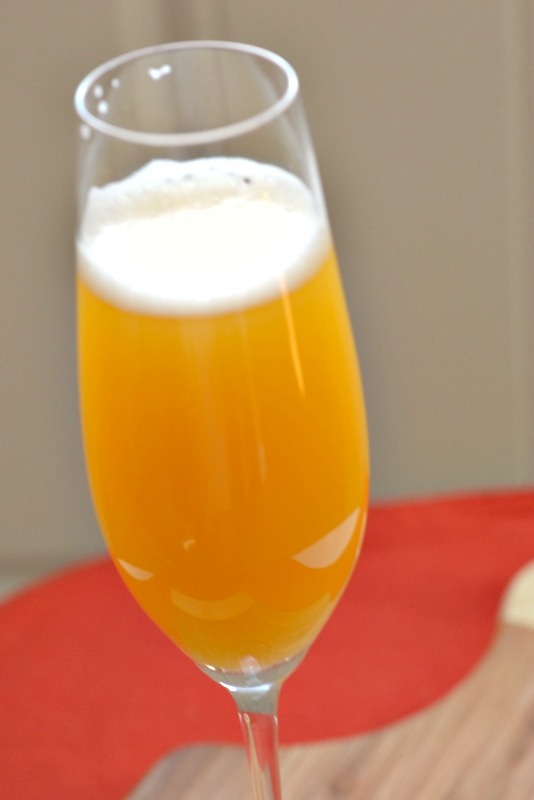 The mimosa is a fizz cocktail made from combining champagne and orange juice in a champagne flute. It’s served traditionally as a brunch cocktail, and is often served as part of the morning festivities before a wedding or other special occasion. Named for the creamy, frothy look of the mimosa blossom, the Mimosa cocktail was first introduced at the Paris Ritz in 1925. There has been some controversy as to whether the drink was stolen from the Buck’s Fizz recipe, introduced in 1921 at the Buck’s Club in London. The drinks are nearly exact, except for the ratio of orange juice to champagne. 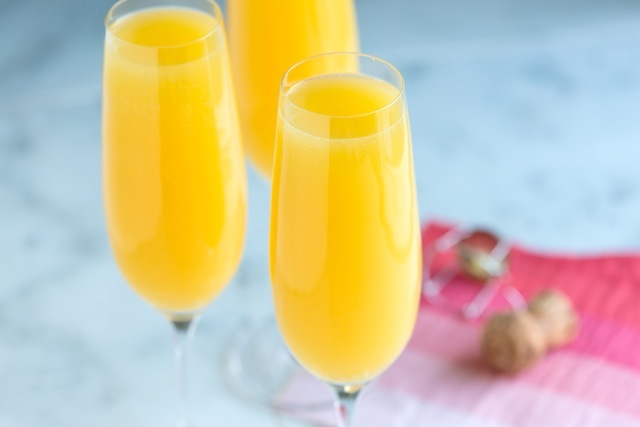 Most have come to accept them as the same drink, and it is most often referred to as the Mimosa, with the exception of Britain, where it is still referred to as the Buck’s Fizz. Pour the orange juice in a champagne flute. Add the champagne, being careful not to let it over flow. Do not garnish. To make a virgin mimosa, replace the champagne with sparkling water or lemon-lime soft drink. Pour Grand Marnier into a champagne flute. Fill almost to the top with champagne and top off with fresh orange juice. Pour the cranberry juice in a champagne flute. Add the champagne, being careful not to let it overflow. Pour the orange juice in a champagne flute. Add the hefeweizen, being careful not to let it overflow. Pour the tomato juice in a champagne flute. Add the champagne, being careful not to let it overflow. Pour the pomegranate juice in a champagne flute. Add the champagne, being careful not to let it overflow. Pour the peach puree in a champagne flute. Add the champagne, being careful not to let it overflow. Pour the creme de cassis into a wine glass. Slowly add the dry white wine. While it should always go without saying, drinking responsibly is the most important part of enjoying any variation of the mimosa. Have a designated driver, or ask the bartender to call a cab or the local safe ride home program. Know your limit and be smart.